I devoured Love & Leftovers in a matter of hours. It's a gripping read that forced me to ask myself what I'd do if I were in Marcie's shoes. It also reminded me that emotions breed actions and your actions have the potential to hurt the ones you care about. It seems like an obvious statement, but, in the moment before we act, many of us forget that there will be consequences. That's what makes navigating love so tough. It's selfish and selfless all at the same time and generally an emotional mess. When Marcie's life is pulled out from under her she's forced to find her footing in a new place, and the new perspective leads her to question everything she used to know. Her parents split up after they'd become distant, and her dad decides to pursue a relationship with a bartender who became his confidant. Marcie's mom takes her and runs away to their New Hampshire summer house, and Marcie begins to realize that their summer escape may be her mom's attempt at a fresh start. It's unlikely that she'll be going home to Idaho, which means leaving her friends and perfect emo-rocker boyfriend behind. She tries to make due long distance, keeping in touch with them all via phone, chat and YouTube; however, doubt and loneliness begin to get the best of her. Soon enough, Marcie is leading a double life. She's desperate to stay in her old life, but her new one offers the opportunity to pursue what she feels she needs - passion, understanding, and physical comfort - and see if what she had was all it was cracked up to be.The trouble is she's hiding things from her friends, boyfriend, and even the too-tempting-to-resist guy who has swept her off her feet. What she discovers is that there is no comparing relationships. People love differently. Everyone has their own wants and needs, and while they may not understand yours that doesn't mean they love you any less. They're just loving you in their own way. Conversely, she learns that sometimes people who seem selfish and hurt others by being so are really just trying to find what they need in life. It's the case with her dad and later with her. Ripple effect casualties happen, but they aren't always malicious. Once the damage is done, all you can do is be honest and hope for a little forgiveness and understanding. I think what I loved most about Love & Leftovers outside of the beautiful verse is that it deals with love and relationships from several angles, not just the romantic one. Marcie searches for understanding of her dad's choice to break up their family while coping with the mistakes she's made and the fallout with her friends and boyfriend back home in Idaho. Reconciling love and sexuality is one of the more complicated issues dealt with in Love & Leftovers. Marcie dissects her relationships with her boyfriend back home and the guy she's been dating in an effort to get some clarity. Do emotions and physicality always go hand-in-hand? How do you know when you fall in love? And more importantly, how do you know if someone is in love with you? 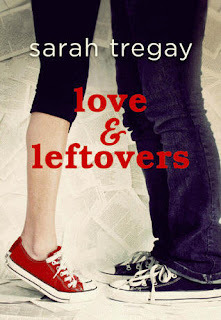 Love & Leftovers conveys a deluge of emotion in very few words. It's complex and deep and, like love, ends with acceptance. In my opinion, that's how matters of the heart should always end. To share one of my favorite quotes from Sam Keen: "You come to love not by meeting the perfect person, but by loving an imperfect person perfectly." 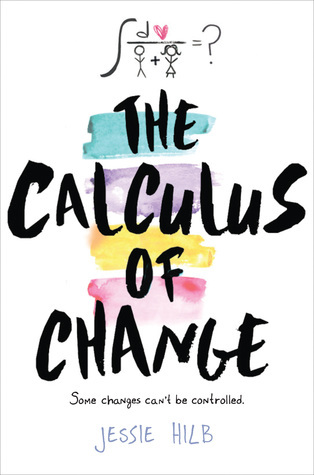 I really enjoyed this book and am glad you liked it too! Great review! I tend to absolutely devour books like this. Love is one of those topics I just can't get enough of. I'm sure that I will be reading this in the near future.